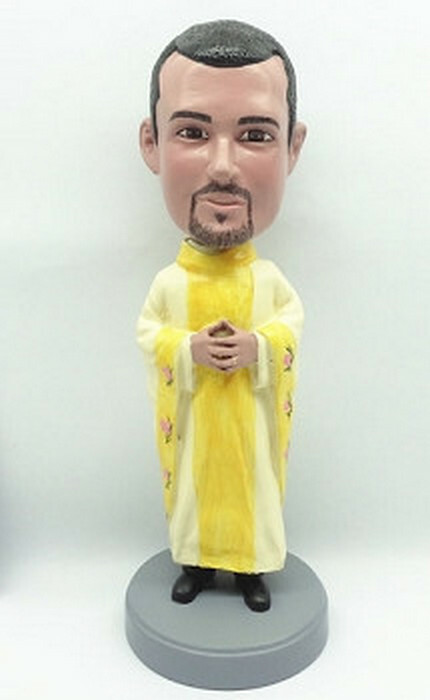 This custom bobblehead doll looks on in his monk attire. Both hands holding to a religious symbol. He wears a pair of nice shoes.